C1. Do any public or private elementary schools offer regular bicycle education to students? C1a. What percentage of your public and private elementary schools offer bicycle education? C1b. What type of bicycle education is offered? C1c. Are bicycles provided to students by the school district, police, non-profit or other entity to allow every student the opportunity to participate in on-bike instruction? C2. Do any public or private middle schools offer regular bicycle education to students? C2a. What percentage of your public and private middle schools offer bicycle education? C2b. What type of bicycle education is offered? entity to allow every student the opportunity to participate in on-bike instruction? C3. Do any public or private high schools offer regular bicycle education to students? C5. Are bicycle safety or riding skills-related classes or hands-on instruction offered to adults in your community? C5a. What type of classes are available for adults? Check all that apply. C5b. What topics are covered in these classes? Check all that apply. C5c. Who teaches these classes? Check all that apply. C5d. On average, how often are these classes offered? to allow every resident to participate in on-bike instruction? information with adults in your community? Check all that apply. C7. Which of the following information is shared using the methods checked above? safely with bicyclists of all ages and abilities? Check all that apply. information on sharing the road with bicyclists? Check all that apply. C12. 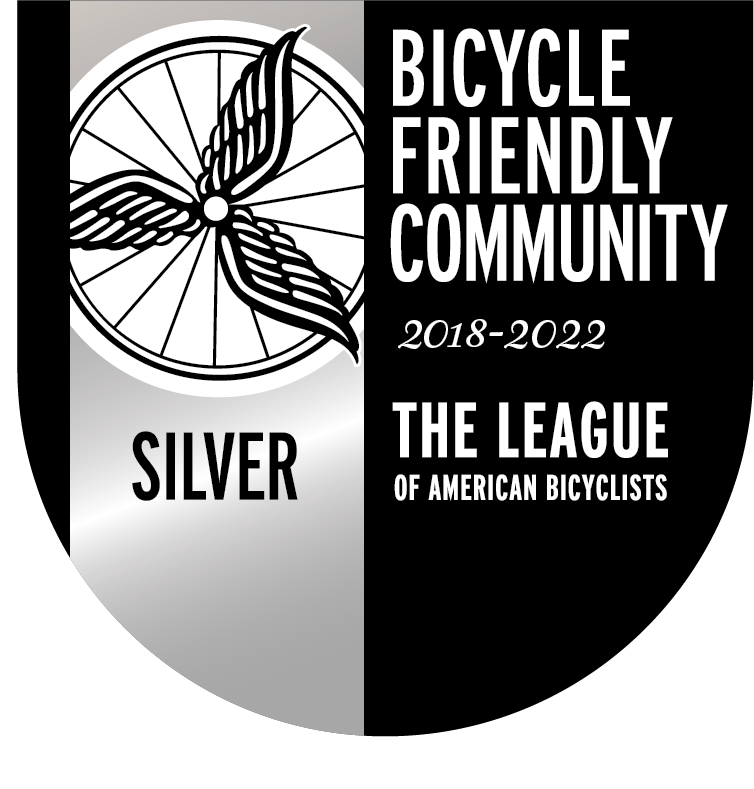 Are any of the following educational materials published by the League of American Bicyclists provided to community residents and/or businesses? C13. Describe any other education efforts in your community that promote safe cycling. Every June, we reach out to summer J-1 work/study visa workers through a one-day bike safety event during WorldFest with a bike tune-up station, bike safety quiz, and free giveaways including bike lights, bells, and reflective ankle straps.